It has been 2 years since Major League Ultimate decided to shutdown. MLU completed 4 seasons with memorable innovations until the abrupt stoppage in December 2016. SLUDGE spoke with Nic Darling about many various MLU topics with Nic who provides candid behind-the-scenes insight. Nic Darling was the Executive VP and Founder of Major League Ultimate from late 2012 until December 2016. During Nic's tenure at MLU, he became the face of the organization as the host of MLU's podcast Cleats and Cufflinks, the lead in MLU's 'Speaking Ultimate Frisbee' segments, and was called on to broadcast some games. Below is part 1 of multiple part series documenting our conversation. 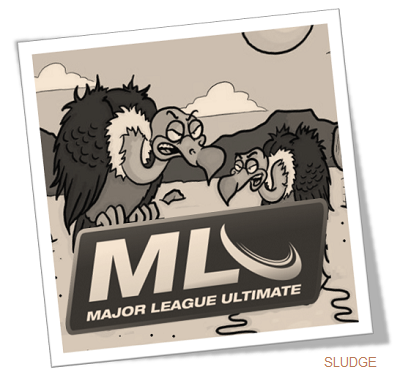 SLUDGE: Take me back when you found out about the decision to cease operations of Major League Ultimate. Nic Darling: We had just moved into our new offices. There were hints a couple of days before this, that this was a possibility. SLUDGE: Were the hints communicated to you? Or you were just sensing them? ...a huge surprise to everyone...We had some deals in the works that I was really excited about. You could call it a shock. There were just a couple of days of oddness that preceded it. This is still a huge surprise to everyone here, because new offices, new ticket sales team, all this good stuff going on. We had some deals in the works that I was really excited about. You could call it a shock. There were just a couple of days of oddness that preceded it. I'm pretty direct, or had been at least for the year prior to that, where we had some deals moving forwards for financing and I would be ask the investors, "Are we good? Everybody's on board, we're okay? Are there any metrics we need to be able to hit to make sure we're good?" And so, we would do check-ins. There was always anxiety… The rug can be pulled out from you at any moment when your business is based on investors. It can disappear in a second. My first startup, a software company that I was in, we had a patent lawsuit that came up. Investors were like, "Yep, we're done." And, we're done. And we're just done. And it's just the way these things go... There's only so much protection you can build in, so you always have a background level of anxiety. There was something different with this one. And I don't have a good explanation of what exactly happened, oddly. ...there was still a long way to go before [Major League Ultimate] was turning a profit. I know the basics of it; there was still a long way to go before this company was turning a profit. And while that seemed to be pretty well communicated between all of the parties involved, I started to get the sense in those days leading up, that it wasn't as well communicated as I thought. I would have been less surprised if we chose to end operations right after the end of the 2016 season (July 2016) than I was after making several positive moves through the fall. SLUDGE: Unpack that for me. Nic: Okay. I would have been less surprised if we chose to end operations right after the end of the 2016 season than I was after making several positive moves through the fall. An investor-funded business always has a certain amount of uncertainty and the time of most instability is when the end of an agreement is in sight and the next round of funding is not yet secure. By the beginning of December 2016, I was fairly confident that we had secured funding for 2017. After the 2016 MLU Championship [August 2016] I did not yet have that confidence. SLUDGE: Any other issues, in retrospect? Nic: The problem is that there were different philosophies as to how the company was gonna run over the years. So some people thought, "Hey, maybe we can make this sort of a subsistence thing, and we can find some mechanisms for leveraging people's volunteerism and stuff and just running things that way." But in the last year or two we had a shift, to "Let's make this a real company, let's run it like a real company. Let's go find what we need to survive. So let's find new investment, let's find this." And that started to be the philosophy through 2016, and it felt like that's the direction we were headed in. So yeah, there's some surprises there. And I still don't have all of the background reasons why the plug got pulled. SLUDGE: It seems like you - of all people - deserve to have those answers. I think I could have them, probably, now, if I wanted to go back and have the conversation. I just haven't. For me, another thing that I think is important to understand is that this job, for me, was really brutal. It was more than double full time. I worked constantly. I missed weddings, and parties, and family events, and anything you can imagine. I worked every day, I worked every night. During the season, I traveled all the time. And there was certainly a part of it being over, once I finally got over the shock of that, and the painful part of having to lay off a bunch of people, and all that stuff, where I remember I was sitting in the office by myself cause I was closing everything down, and I'm like, "Maybe this is for the best. I'm tired. Drinking too much, and I'm stressed out, I don't feel good. Maybe it's not all bad." "Maybe this is for the best. I'm tired. Drinking too much, & I'm stressed out, I don't feel good. Maybe it's not all bad." And I rode that feeling for months. And that was the time period where I could have sat down with the people involved and got better answers, and I just never really did. I don't think that there's anybody that wouldn't give me the answer. The investors are great, I still have a lot of respect for them. They treated everybody really well with the exit, which is abnormal when a company closes down. The investors are great, I still have a lot of respect for them. They treated everybody really well with the exit, which is abnormal when a company closes down. I'm pretty sure I could probably get better answers. They're probably just gonna tell me it's my fault. I don't know if I want to know that. SLUDGE: How much future planning was already done for the next year's (2017) championship game? Nic: We always had a challenge, in that, the reason it was in Philly is cause MLU headquarters was in Philly and the production level that went into that was really hard for us to do anywhere else. Now it looked like the 2017 championship was going to be determined not by us but by the title sponsor. We were in conversations with a few different companies to title sponsor that game and that would've had a large determination on where we held it. Both the size of the venue, the type of venue, and in the end, probably the city location. We were in conversations with FOX Sports and Comcast to do a live national broadcast of that game. SLUDGE: Was it ever considered, for some departments of MLU to continue as an offshoot? Nic: Absolutely. 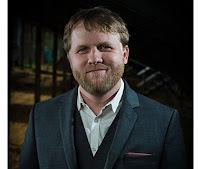 [Production Manager] Matt Gray and I batted that idea around a lot. We looked at different ways of doing it. I think he even shot a couple of games for the AUDL, as a kind of test of the thing. But there's just no money in it. There never was money in it. You have to monetize it and nobody on the AUDL side was doing that. We looked at other sports, and there were more possibilities there. But everybody wanted to pay the barest minimum for that kind of coverage, so there wasn't really a lot to do with it. Now, again, given some time and some runway, could we have spun up a media company out of that, that might have been able to work around Ultimate? Yeah, it’s possible. I think there's an opportunity there for sure...just like there's space around any sport. But you gotta find corporate partners, it's the only way to make it happen. Gotta find people with money, who have something to sell. But there's just no money in it. There never was money in it. You have to monetize it...I think there's an opportunity there for sure...just like there's space around any sport. But you gotta find corporate partners, it's the only way to make it happen. SLUDGE: The other two efforts that I thought MLU had that was of value were the Fantasy platform and the stats system. Nic: That was great, wasn't it? The fantasy thing was insane. Stats, fantasy, our websites, all that stuff, we way overachieved on all that. SLUDGE: Back in December of 2016, you said that the stats would remain intact and online, but stats have since been removed. Nic: I was actually surprised to see the main site had come down, and the [stats] portion of it. We were working off of...I can't remember, Luke would know better…I think Google Cloud services for that, and that was one of the expenses that got dropped by the investors. We still have the data, but the system isn't there to publicly display it. SLUDGE: How invested were you in the MLU? Nic: Most of mine was sweat equity. So I made very little money for a long time. [chuckle] And that's how I have equity. But that equity gets diluted over the years as you bring in more money. And in the end, when things go south, part of that shutdown deal is... those brand assets, anything, gets taken by the investor that has the most control. So I don't have control of those assets anymore. I think there's plenty of opportunity to do something with [MLU assets]. I don't think that that's a closed door at all. In fact, somebody approached me a bit ago with an idea, and I passed them on to the investors. However, I think there's plenty of opportunity to do something with them. I don't think that that's a closed door at all. In fact, somebody approached me a bit ago with an idea, and I passed them on to the investors. I don't know what conversations are happening now and, again like I said, it isn't 'til this conversation that I've thought about it, but I have kind of...since February  I think is when I finally finished up everything with MLU... I've just shut it out. I haven't paid attention to it. I haven't... I mean, I still need to get the trophy to the investors, I haven't done that. So the MLU Championship trophy is sitting in my house. SLUDGE: Do you ever have any "aha" moments related to the MLU? Nic: Oh, I have those all the time. I have those at the gas station sometimes. [chuckle] Retrospect is a beautiful thing. You look into the past and you can always make the right decisions and the right choices. And those constantly occur to me. This is something we could have done or this is the way we could have done that. And frankly that occurs to me in anything that I do. I have a lot of tendency to be looking backwards at what I've done and trying to learn. One of the things I think we could have done that we actually talked about earlier in the years of the MLU and that just didn't get traction with all of the stakeholders, was taking some lessons from what players associations do and trying to blend that to what we did as a league.... I am constantly coming upon ideas that we could have applied at MLU to engage the players more fully that would have had a positive effect on that part of the MLU business. "How could we have done a better job engaging the players in the actual process of running and growing the league?" That would have been a more effective method than paying them $15 extra dollars a game. It just depended on the level of buy-in, which goes back to that, "How could we have done a better job engaging the players in the actual process of running and growing the league?" That would have been a more effective method than paying them $15 extra dollars a game. Right? And I think we all knew that. We just couldn't figure out how to do it, with all of the other things that we had to accomplish. Now we were always strangled for resources, not just monetary but human. And so as thin as we were stretched, some of those would have been difficult to accomplish without significant buy-in from our investors and people understanding why it was important. SLUDGE: It was reported there was 500+ orders at the end of December 2016 after the MLU had ceased operations. Nic: That was awful, totally forgot about that until you just brought it up. SLUDGE: Sorry. After all of that hard work that you've done for four years, were you surprised at this reaction of so many people showing interest with their wallet? Nic: I don't know. I think people wanted to grab a piece of history. We expected it. So it wasn't surprising. I expected people to come out. We always sold stuff, people bought stuff, but just never on that scale all at once, but we were also dirt cheap. [chuckle] But, yeah, piling all that stuff, that was a rough couple of weeks, getting those orders out. That's another thing people forget, we ran an entire retail store as well. That was crazy. SLUDGE: It must have been hard for you since you're already dealing with this cease operations, but then still having this obligation to send out all those swag orders. Nic: Picture an old cowboy movie, and your horse dies, and you sit there, and you watch the vultures come down and get the horse.